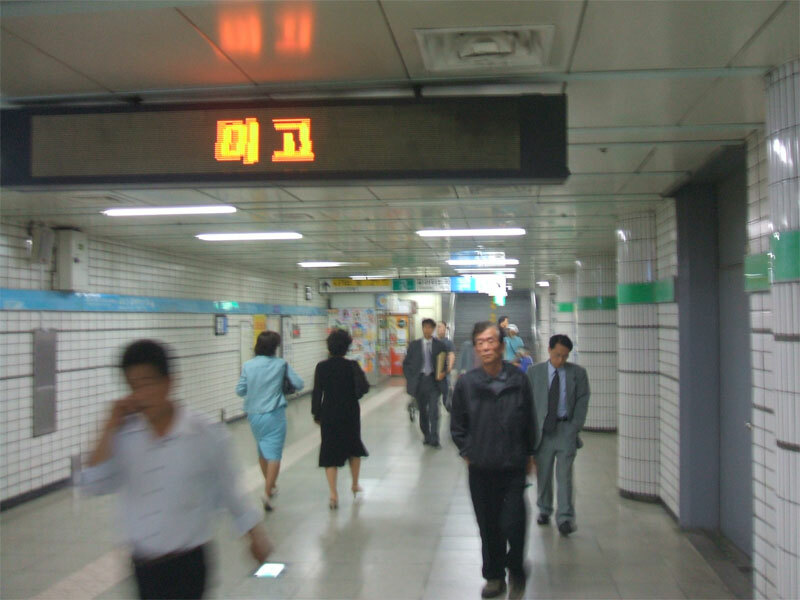 Korea’s subway is extremely efficient, inexpensive and clean, if crowded. 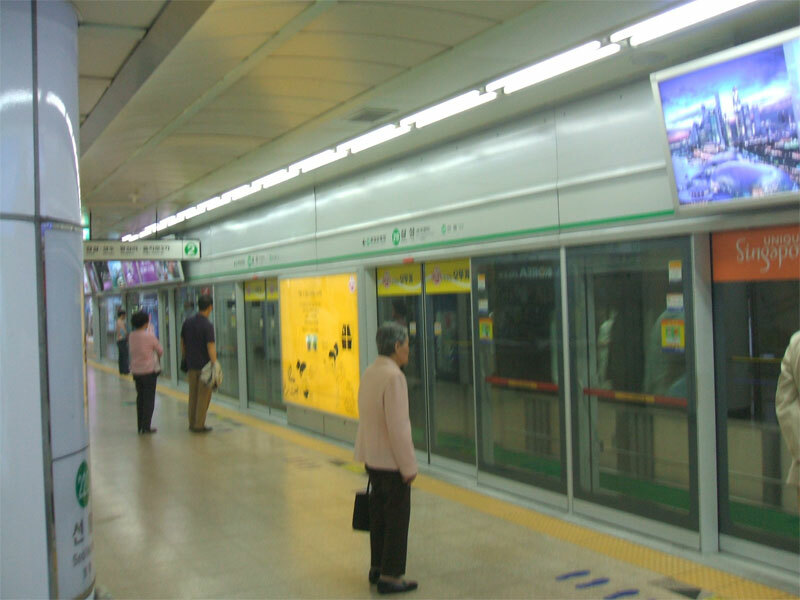 Still I’d recommend visitors to Seoul use cabs instead; they’re almost as inexpensive as the subway and you see a lot more of Seoul. 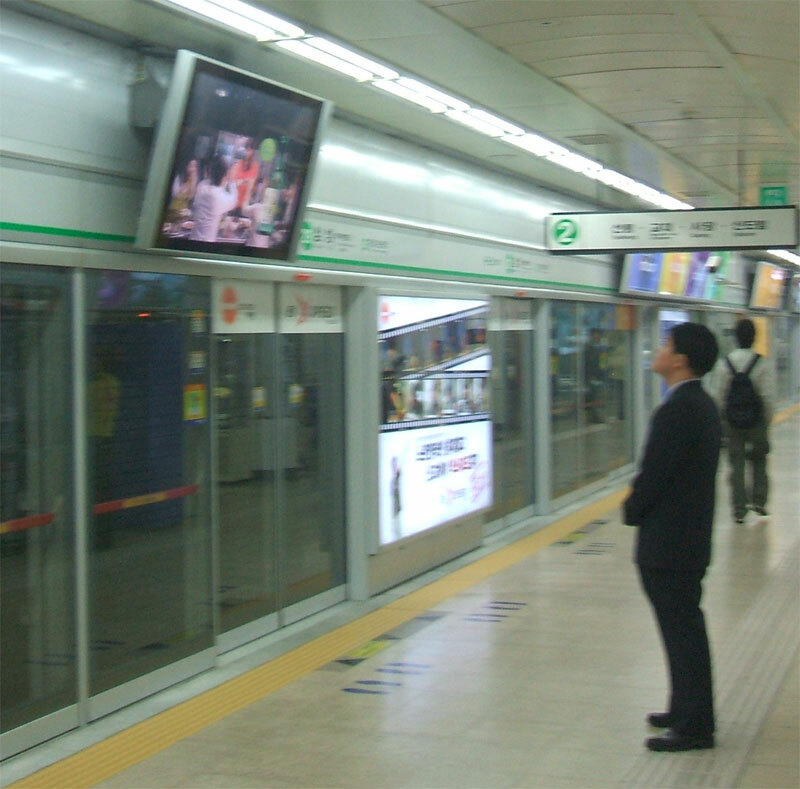 There are a LOT of TVs in the subway. 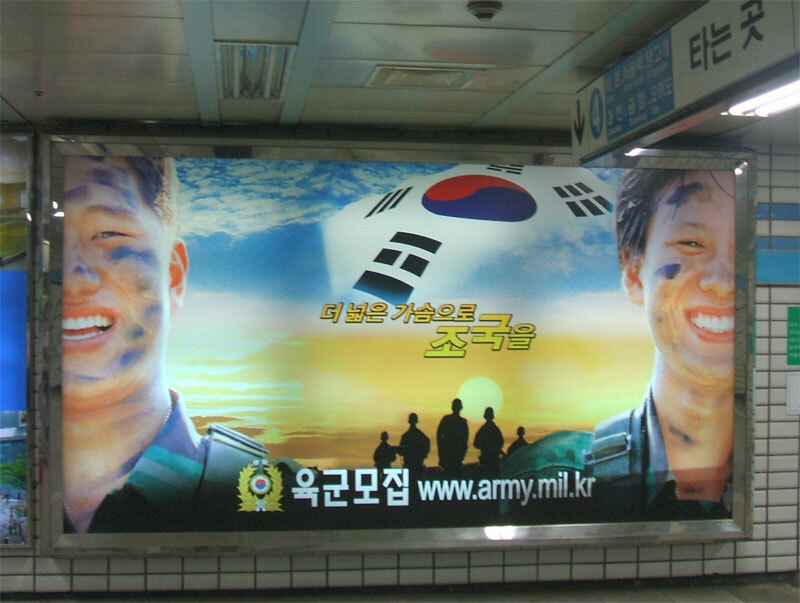 In Seoul for that matter. 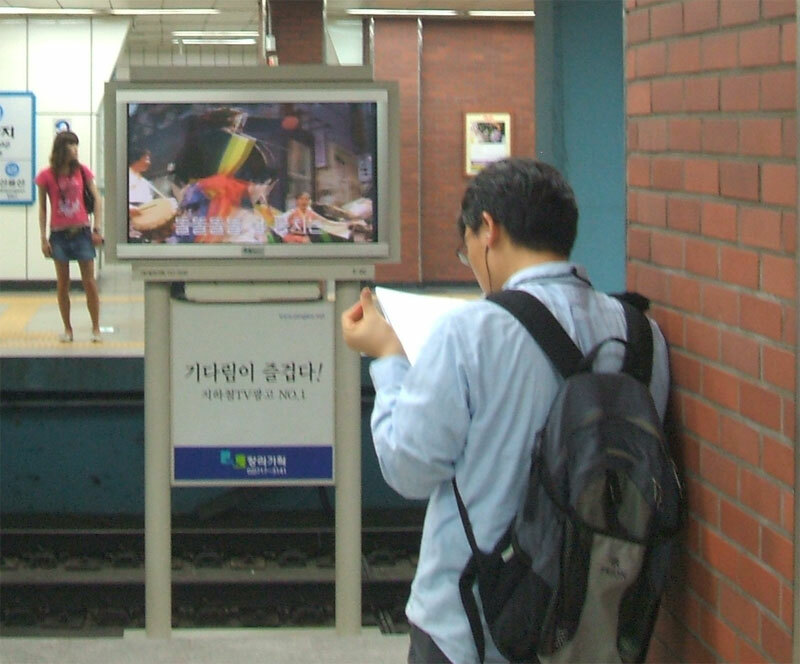 It seems like no matter where you go in Seoul there is a TV somewhere broadcasting. Definitely added to the entire “Blade Runner” feel of the place. 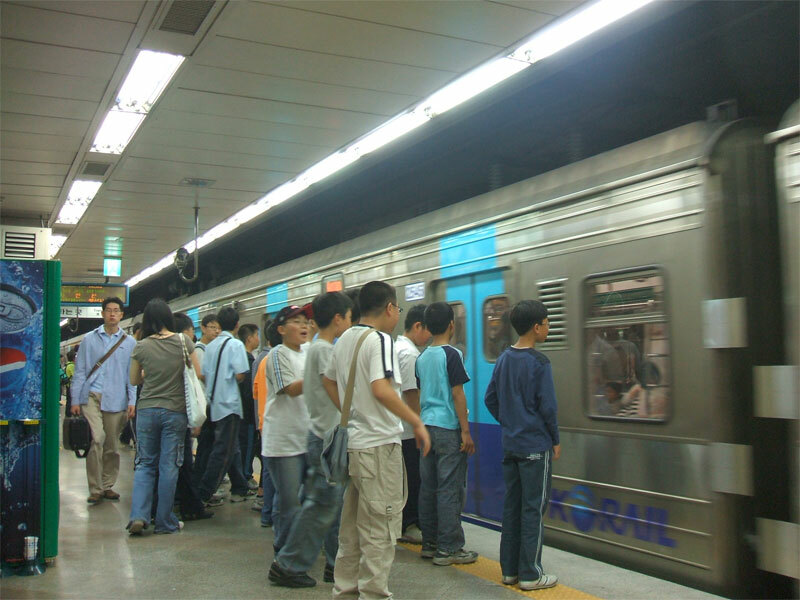 The kids in the subway tended to move in tight clumps, even when there was plenty of room. Here’s a guy on rollerblades and a suit. 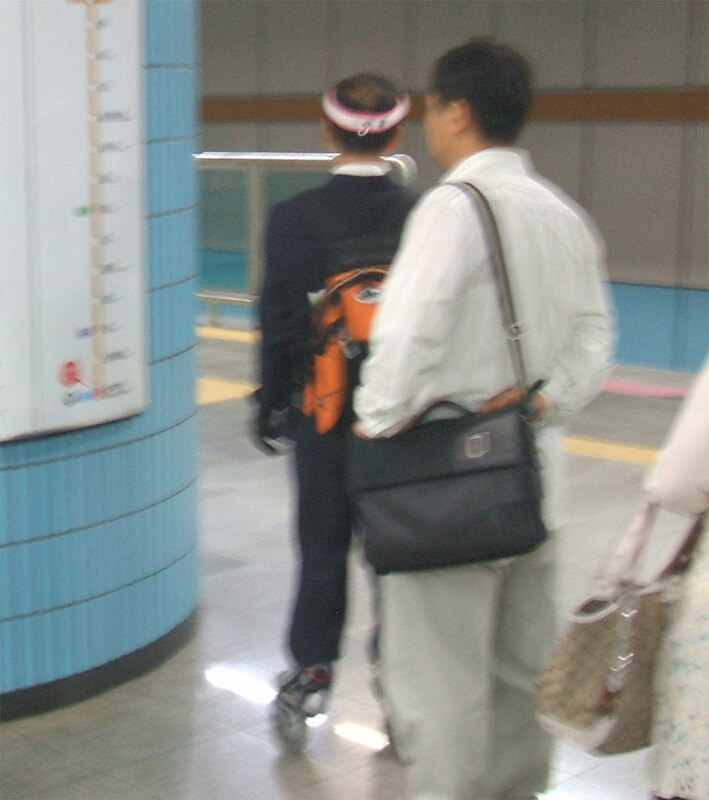 You laugh, but after a day on the subway he made a lot of sense to me! 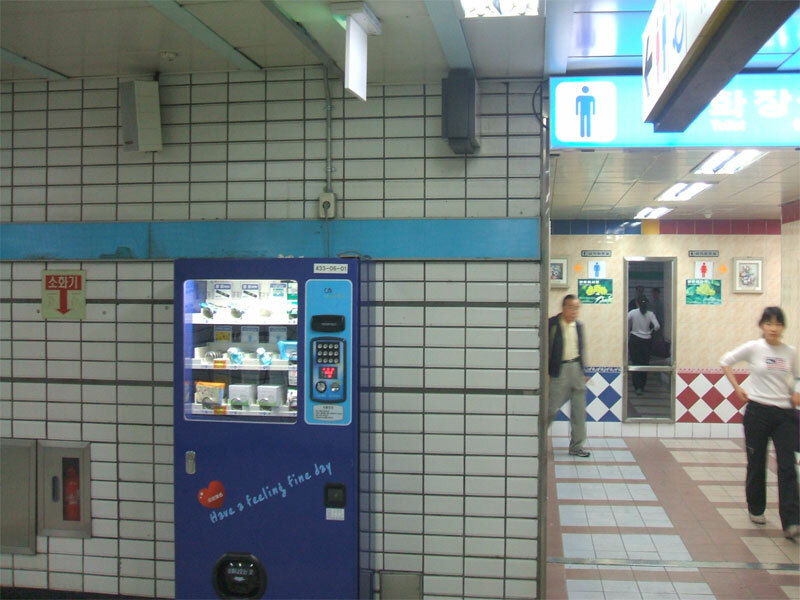 I was thirsty, but not that thirsty.